It’s officially summer today. What foods remind you of this time of year? For me, it’s fresh fruit and especially lemons. I cook with them and use them in my home decor. Today, it’s all about baking with these fabulous bright yellow citrus treats. Plus, I’ll even take it one step further and add blueberries because lemons and blueberries are an amazing combination! Everyone says “yum” to a moist cake! Honestly, I can’t even describe how moist this loaf is. The cake is lemony and buttery, which pairs perfectly with the tart blueberries. In a large bowl, stir the sour cream, sugar, eggs, lemon zest, lemon juice, vanilla extract, and oil. Set the wet ingredients aside. Gently mix 1 tablespoon of flour and blueberries together and set it aside. 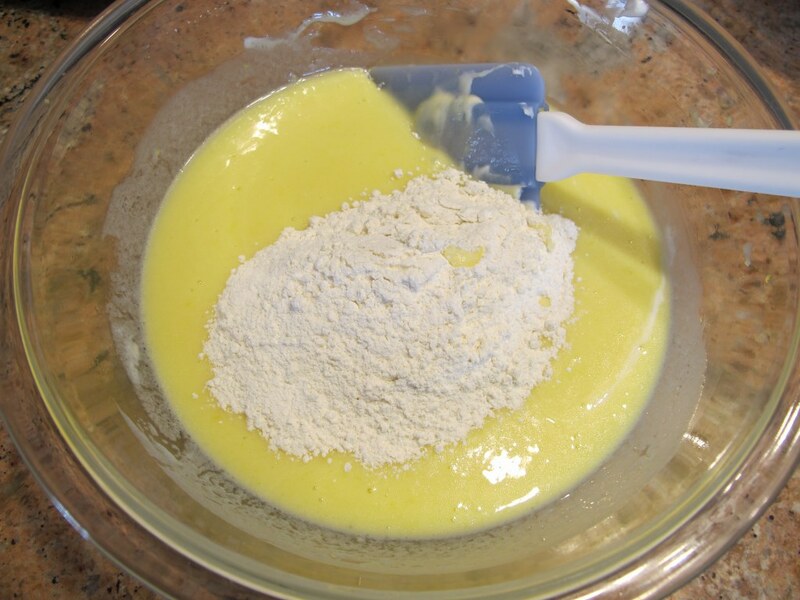 In a separate large bowl, whisk the 1 and 1/2 cups of flour, baking powder, and salt together. Gently stir in the blueberries just until mixed. Spread the batter evenly into a greased 9 x 5 loaf pan. Bake for 50 – 55 minutes or until a toothpick inserted into the center of the loaf comes out clean. Let the loaf cool in the baking pan (about 15 minutes). In a small bowl, microwave the vanilla frosting for 15 to 30 seconds and drizzle the icing over the loaf and serve. Store on the counter either in the loaf pan or an air tight storage container or freeze it in tin foil in a freezer friendly zip lock bag. 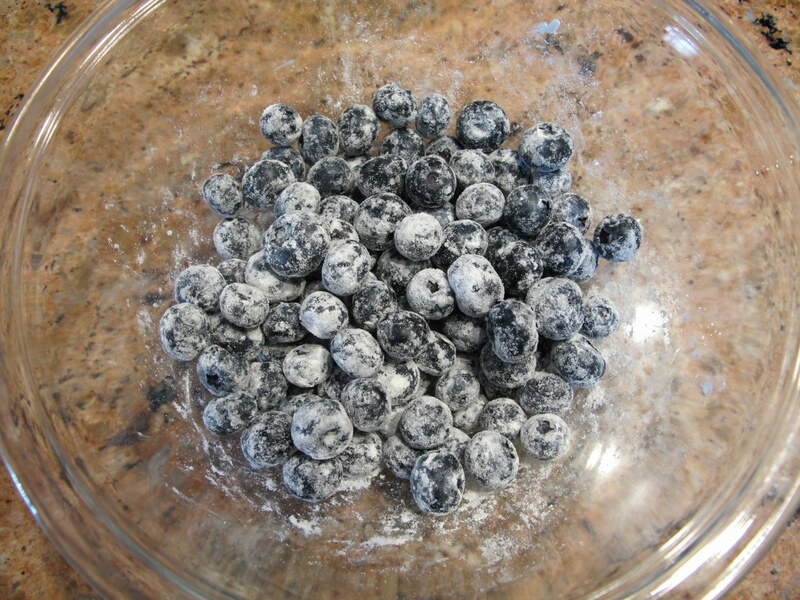 Baking Tip: Very lightly coat the blueberries in flour before you mix them into the batter. This will help prevent them from sinking to the bottom (although will not 100% prevent) of the loaf and will help prevent the fruit colors from bleeding into the cake. I don’t like to use a zester because it tends to be a tedious and time consuming process. However, there is so much flavor in the zest that sometimes it’s worth the effort. Look at those beautiful pops of blue color from the blueberries! My blueberries were juicy so the color bled a bit (even with my baking tip of coating them in a bit of flour before mixing into the batter). I will admit that I asked my husband if this was pretty enough to bring as part of a hostess gift…or even blog about. He quickly reminded me that the blueberries made the loaf extra moist and it still tasted amazing. He was right of course, and it got glowing reviews from everyone that tried it. 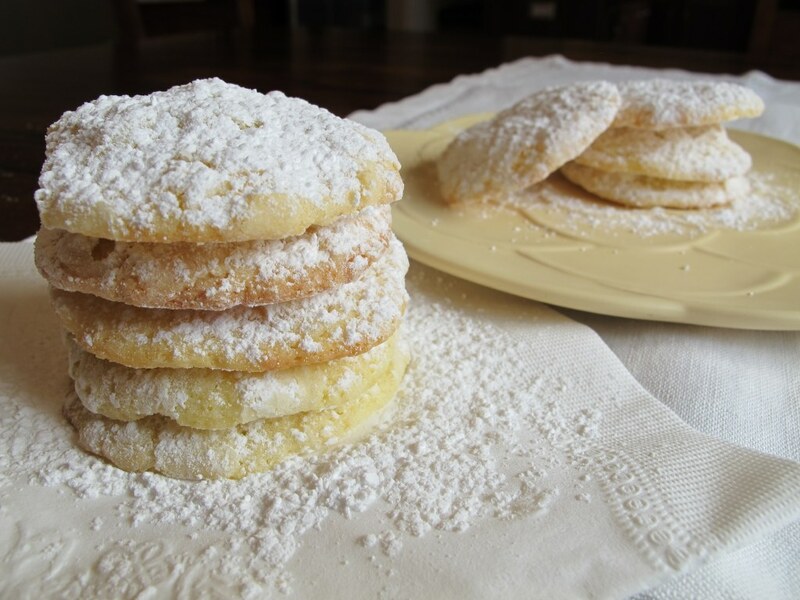 If you are a fan of lemon baked goods, then you’ll love these Lemon Cookies. Wow, this bread is gorgeous! I love citrus, and that sunny yellow color with the blueberries and glaze just looks so appealing. I’d love a slice! 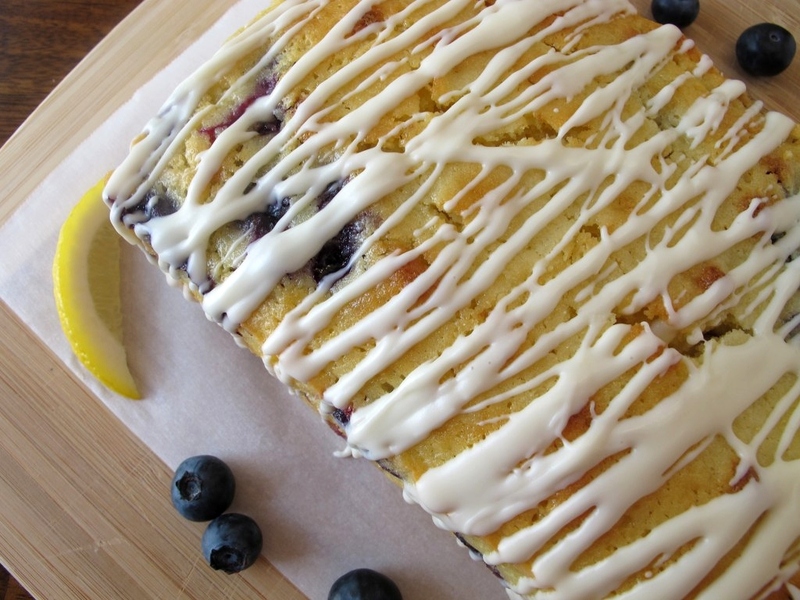 I’m a big fan of lemon and blueberry…so this recipe pretty much wins! That looks delicious! I love blueberry anything. Love that glaze on top. Perfect with a cup of Joe in the morning. Have a stellar weekend Tina! I too am a huge fan of anything having to do with blueberries. I’ve had it for breakfast with coffee and for dessert with a nice cold glass of milk. 🙂 You too have a beautiful weekend! 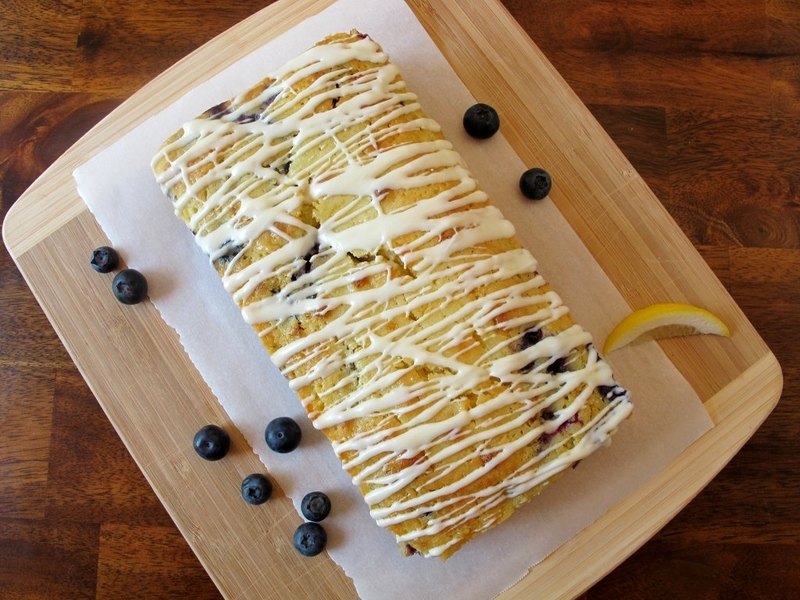 Love this sweet loaf…especially bcz I love lemon and blueberries together. And that alone reminds me of summer! You made it look so pretty too! Already pinned! You are so sweet, thank you, Gloria. 🙂 I love blueberries and can only get fresh ones here in the northeast when they’re in season so I make lots of blueberry goodies this time year. 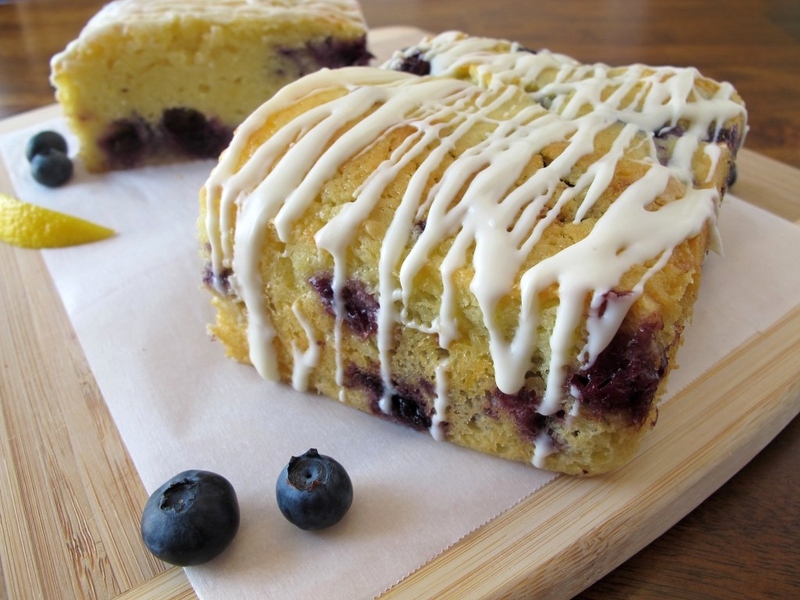 The addition of the lemon flavors make this blueberry goodie a little different than the others. Hope you are having a great weekend! That means so much to me, Katy. 🙂 Sometimes it’s hard working being a perfectionist but seeing others appreciate makes it worth it! Such beautiful pictures! I cannot wait to try this recipe. Oh this looks lovely! I just love lemon!